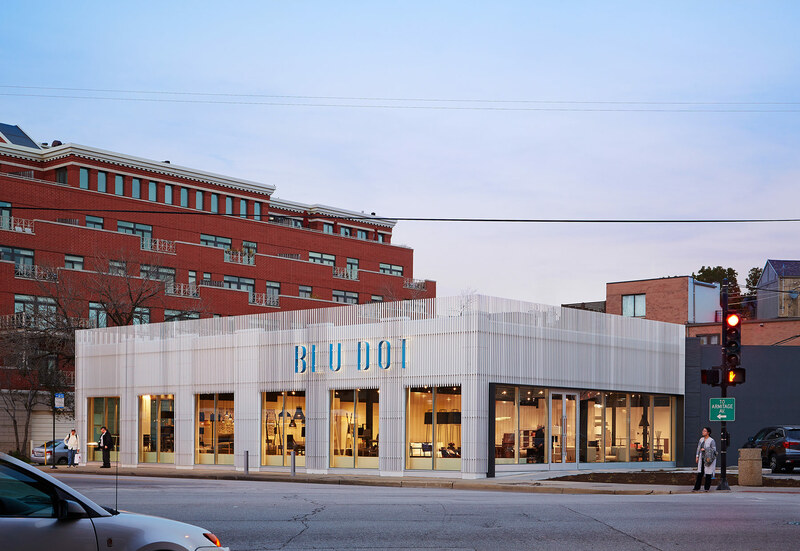 Blu Dot tapped Chicago-based John Ronan Architects to overhaul a decidedly mundane strip mall space in the Lincoln Park neighborhood. 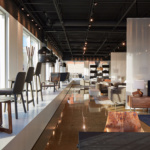 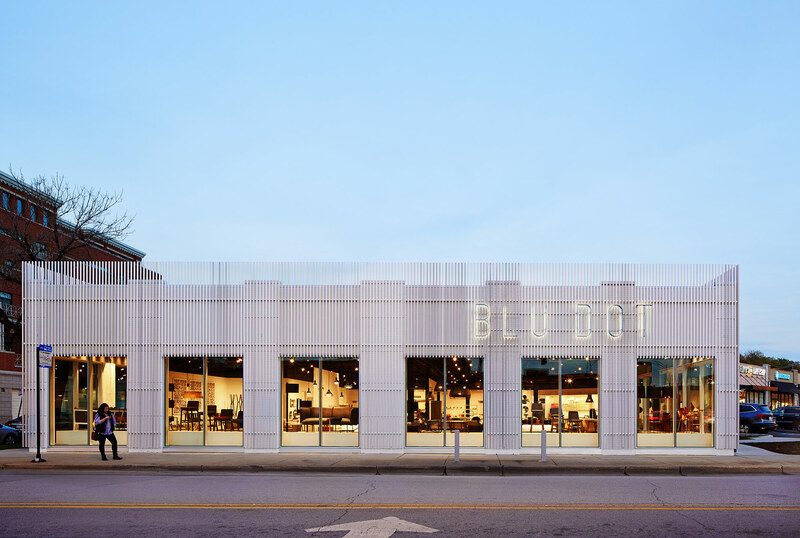 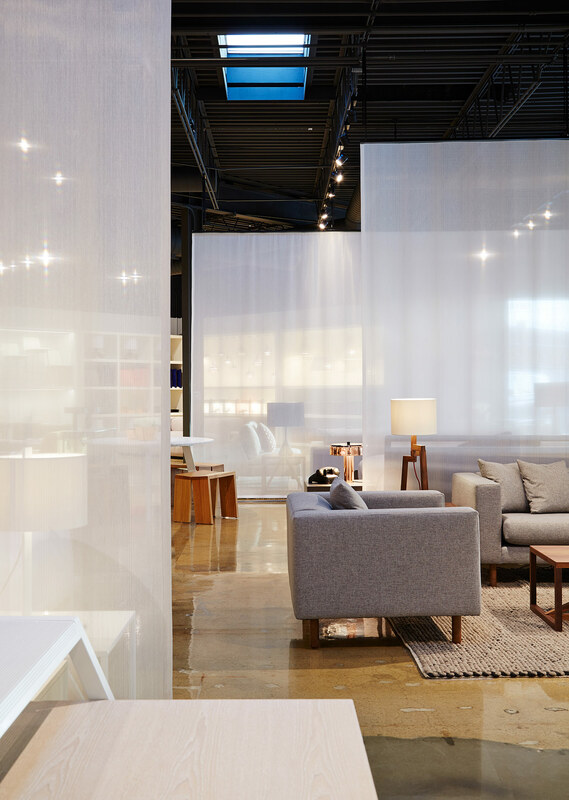 Minneapolis-based furniture company Blu Dot has recently opened its first Chicago outpost. 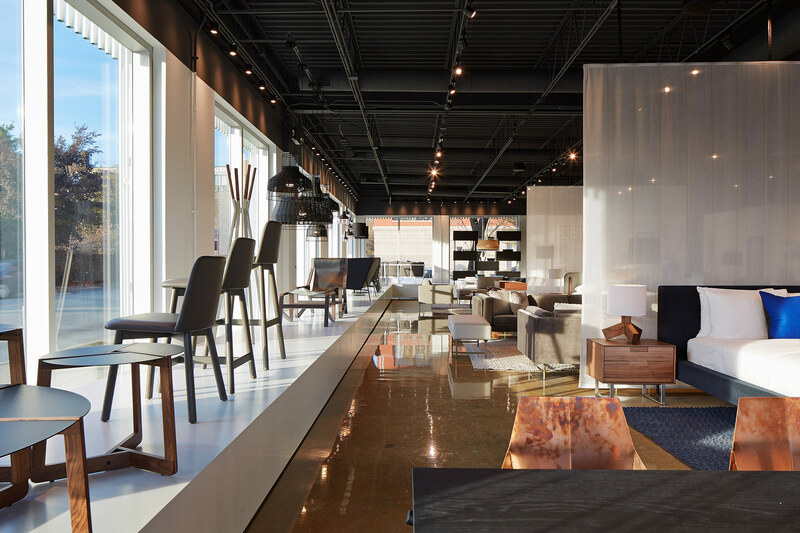 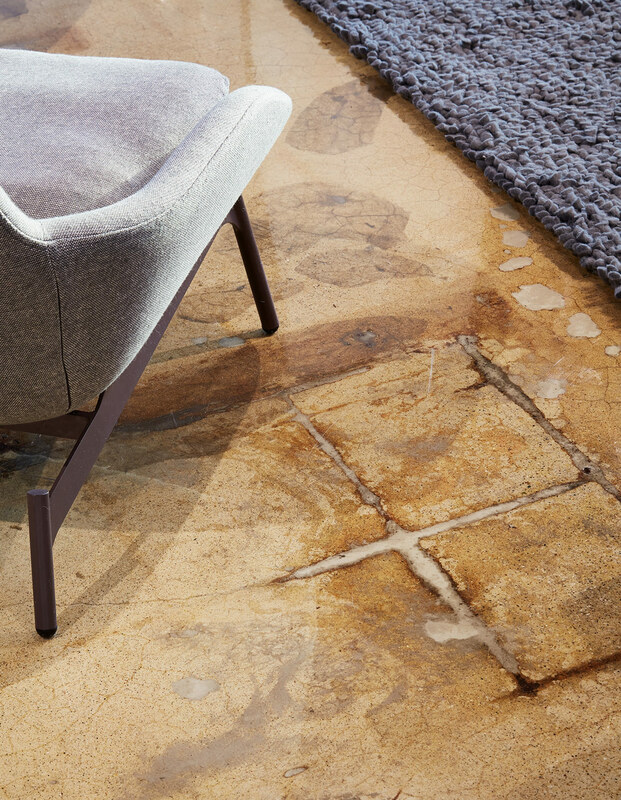 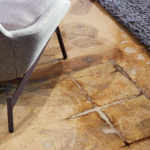 The company—founded by two architects and a sculptor—sells clean-lined contemporary domestic furniture online and in nine stores across the U.S., Mexico, and Australia. 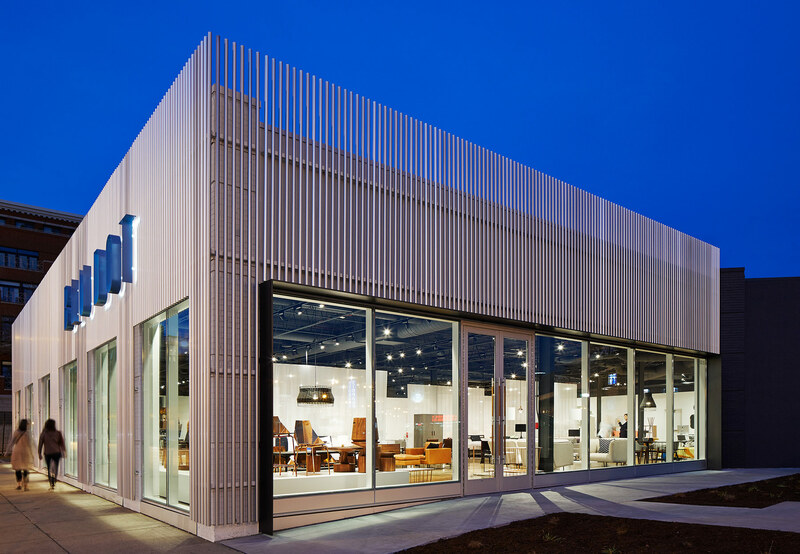 To match its design sensibilities, Blu Dot tapped Chicago-based John Ronan Architects to overhaul a decidedly mundane strip mall space in the Lincoln Park neighborhood. 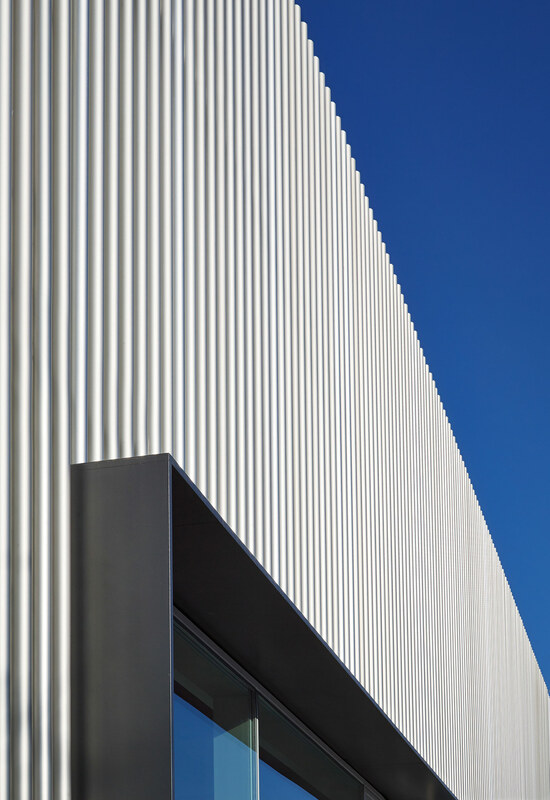 To differentiate the 7,500-square-foot structure from the row of franchise fast food joints it is connected to, Ronan wrapped the building in a facade of thin vertical aluminum tubes. 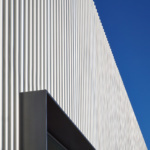 The effect is a mass separated from its immediate surroundings.